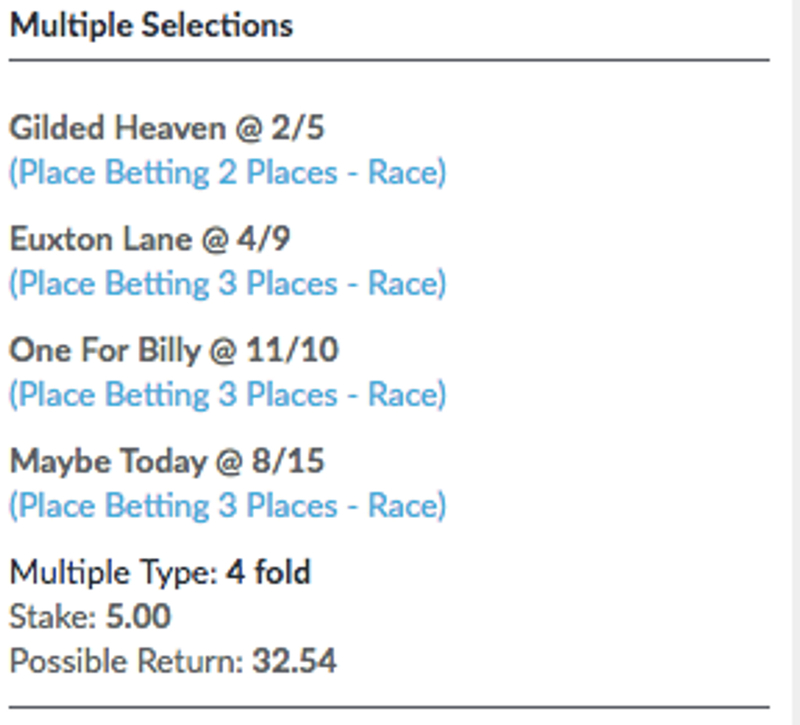 The first horse in todays Stats Accumulator with BetVictor comes from Southwell on the all weather in the Class 5 handicap over 1 mile and we have gone with Gilded Heaven to finish in the top three. This Roger Varian trained three year old got off the mark in style last time out when winning at Newcastle against 13 other runners and is off the same weight today. The trainer has been in fine form all season and especially in the last two weeks where he has a strike rate of 29 percent for his runners. This is also backed up by his strike rate at this track over the past year as he is running at 28 percent for his runners at Southwell. The second horse of the bet comes from Carlisle in their third meeting of the jumps season and we have selected Euxton Lane to place in the Class 3 Novice Chase over 2 mile 4 furlongs. This Oliver Sherwood trained six year old has been a smart novice during her career and is having his seasonal reappearance today. This trainer really thinks his horse will have a special season and can get it underway in style in this tough race. He has travelled 286 miles just to race today and when Oliver Sherwood brings horses this far he has a 20 percent strike rate with them. Also the trainer is in fine form over the last 14 days running at a 20 percent strike rate. 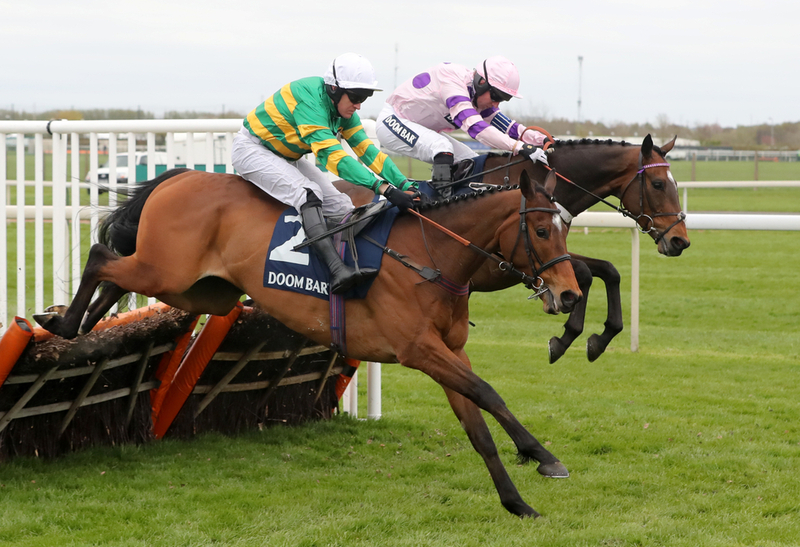 The penultimate horse in the Stats Accumulator with BetVictor comes from Carlisle again over the jumps in the Class 2 Chase contest over 2 miles and we have selected One For Billy to place. This Dan Skelton trained six year old has been really progressive of late and looked sure to take his last outing at Cheltenham when primed to take the lead when jumping the last but veered off course through the rail. He has figures before that of 21122 all in these types of races. Dan Skelton has a fine record at this track posing a 22 percent strike rate over the last year at Carlisle. This is the same for his brother Harry Skelton who has an even better record over the last 12 months at this track running at a 30 percent strike rate. The final selection comes from Southwell again on the all weather in the Class 4 handicap over 1 mile 4 furlongs and we have selected the Simon Crisford trained Maybe Today to go on and place in this race. This three year old has only raced four times in her career and has not finished outiside of the placings with figures of 1232. Her latest outing was at Windsor in October and she finished behind a good horse that day and back on the all weather can see her dominate. Simon Crisford is in stunning form of late having a strike rate of 28.57 percent over the last 14 days and this the same for the jockey on board Jack Mitchell who is posing a 20 percent strike rate for the last 14 days. When working together these two are really dangerous working at a strike rate of 23.26 percent for the last year and will be hoping to build that today.